Alexander the Great's death in 323 BC saw his empire torn apart by wars between his great, but destructively ambitious generals. These commanders were known as the Diadochoi (Successors). They initially included Ptolemy, Craterus, Seleucus, and Antigonus, but over time many more decided to join in the quest for the spoils of Alexander's conquests. The fighting between these former comrades was often savage and personal. Alliances and threats shifted over the almost 50 years of conflict, which ranged from Greece and Egypt to the far-flung frontiers of Bactria and the Indus. From the remains of one of the largest empires the world had seen would emerge the three empires of the Hellenistic World, which would last until the rise of the Romans, and provide the birthplace of the modern western world. As befitting the immense geographical extent of the original empire, and the cultures it encompassed, the armies in these conflicts were were composed of every type of troop imaginable at the time: from veteran phalangites to barbarian mercenaries. In Diadochoi Wars, these disparate forces are yours to command. Beyond infantry and cavalry, pike phalanxes, fully armored cataphract cavalry, peltasts, and elephants are all at your disposal. You also have recourse to special tactics as used by these forces, which include skirmishing and wedges. Elephants can rout and create havoc for both sides. 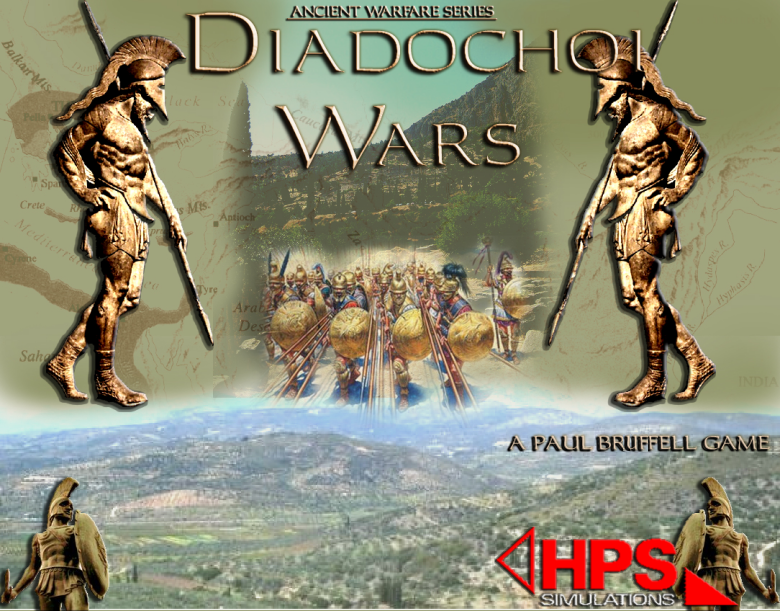 The game combines history with a high level of playability to deliver an exciting and fun tactical level simulation of Hellenistic warfare. 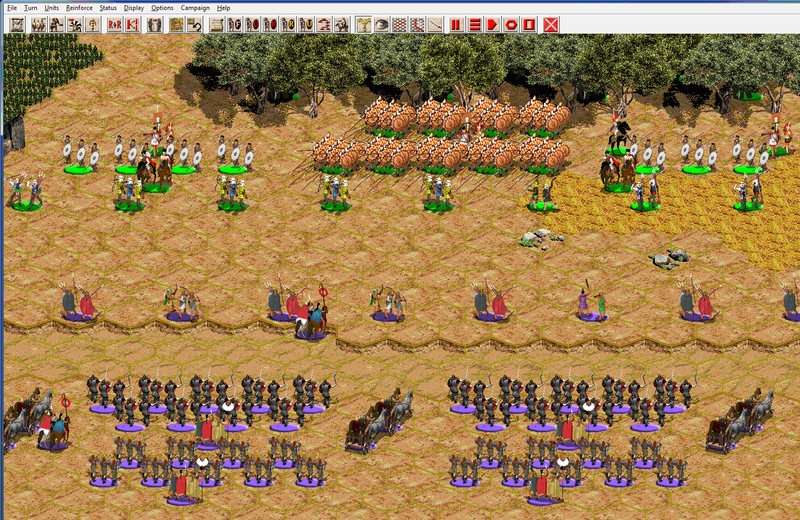 (Click for full size) As with all games in the Ancient Warfare Series, you have complete control in choosing your army, troop types, and weapons and armor then play them against the computer AI or a human opponent. Or play one of the many historical battles that are pre-placed and ready to run; how will you measure up to the men on the field that day? 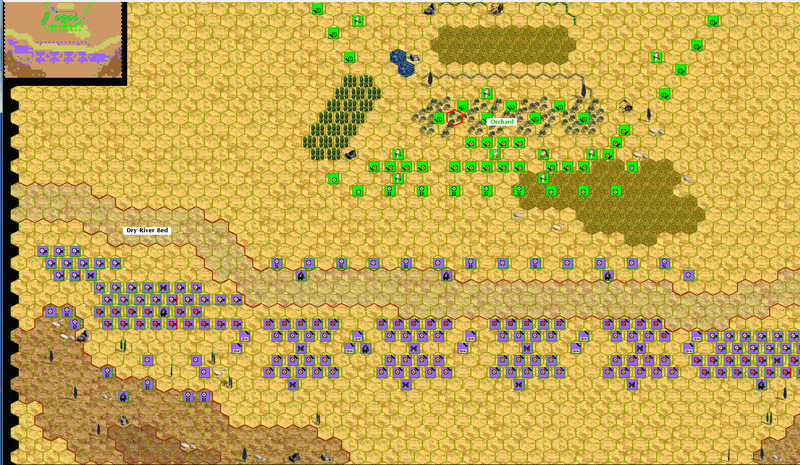 (Click for full size) Or, for a more challenging test of your command abilities, the game includes a campaign option that allows you to link battles together to provide a good flavor of the grueling reality of long-term engagement in that age.Other game features include: unique unit types, competition style battles, limited missile supply, and morale impact. 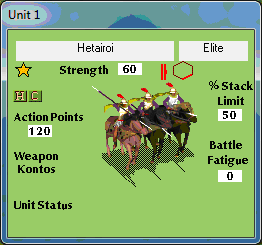 You also can view your armies in several modes, from 2D overhead to 3D. 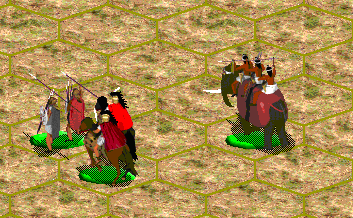 All together, these additions make for another new and exciting game in HPS's Ancient Warfare series. Note: There is no direct Internet/LAN play option.